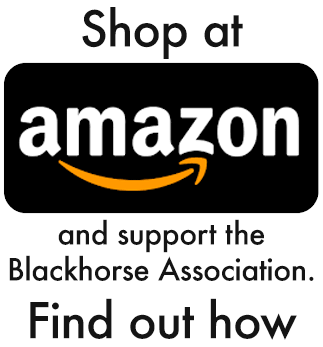 Important message from The Blackhorse Association: Only 3 days left. ONLY 3 MORE DAYS TO BUY A MEMORIAL PAVER TO HELP PAY FOR THE CONSTRUCTION OF OUR NEW MONUMENT AT FORT BENNING. The 11th Cavalry Memorial Project is well underway. Our monument is now in storage at the Columbus Monument Company until the spring, when the key parts will be used in the erection of the new memorial on the future site of a new Armor and Cavalry Museum. Here is an artist’s sketch of what the new monument will look like, with a target date of completion on or about 1 June of 2015. The centerpiece obelisk is a rock which was quarried in Vietnam and brought back to Fort Knox carrying the names of our KIA. Over time it has been enhanced with other obelisks to memorialize our KIA from our other conflicts. 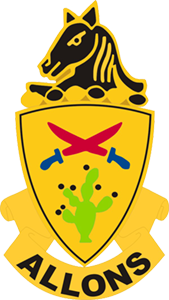 The cost of the project will be shared between the 11th Armored Cavalry’s Veterans of Vietnam and Cambodia and the Blackhorse Association. To help offset the cost, both organizations have been offering granite memorial bricks. Anyone can purchase a memorial brick, at a cost of $100 each. The bricks are a lasting tribute of your service to our regiment. The bricks are a special way in which we all can participate and show our support for our fellow Blackhorse troopers whose names are listed on the memorials. The bricks measure 8 x 4 x 2 inches and can accommodate inscription of up to three lines of 15 characters per line. Many choose to have their name, unit and years of service with the regiment inscribed on their brick. Others have chosen to put the names of other troopers on a brick. You may purchase bricks along with others to be placed together at the new monument – for example, a group from K Troop, 3/11 from Bad Hersfeld in the 80’s is purchasing approximately 10 bricks for that purpose. In the sketch above, the pavers will be placed in the four rectangular areas shown. The opportunity to purchase a brick will end on December 31, 2014. The Blackhorse Association and the ACVVC thank you for your generosity in supporting this important project. Call Don Wicks at 509-943-5118 or email him at diwicks@bossig.com if you think you might be too late.